TheFishinGuide.com - Area Fishing Holes - Submit a Fishing Hotspot! All Fields are optional, any information submitted will be considered. NOTE: Business contact numbers & website links will not be posted, this is available only through paid advertising & directory listings. 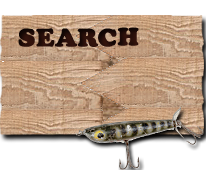 We will update/post a new featured fishing hotspot once we have enough information. Thank-you for your submission - it is greatly appreciated. Without the help of your posts this site would not be possible.